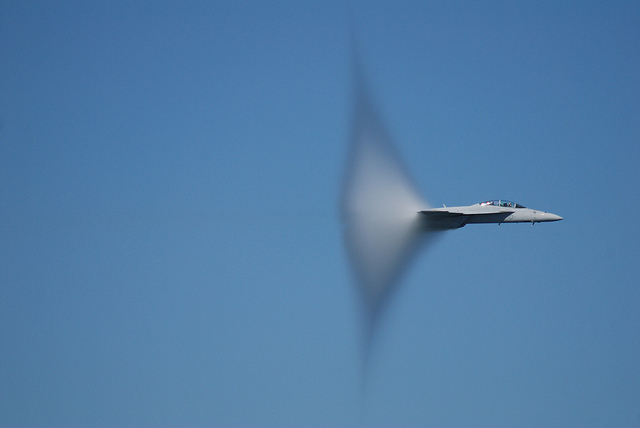 Although it is understandable to see how it could be naturally assumed a vapor cone (as the singularity is also known) is not created when a plane breaks the sound barrier. 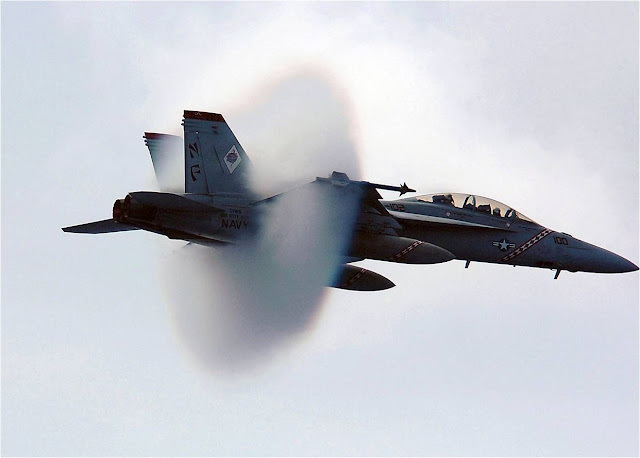 It is also often associated with a sonic boom, which is incorrect. 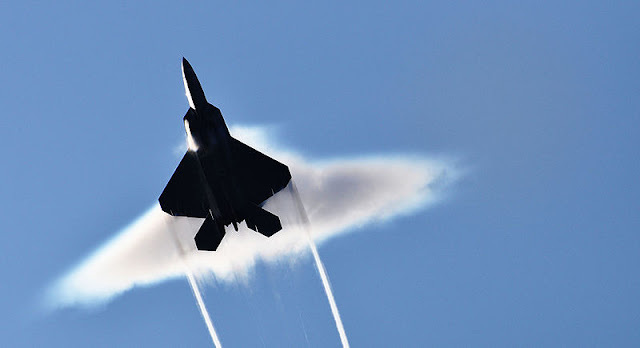 Super-high-bypass jet engines can create the singularity at takeoff speed – this is because the engine inlet has low pressure and the fan blades are themselves operating at a transonic speed rather than the vehicle itself. 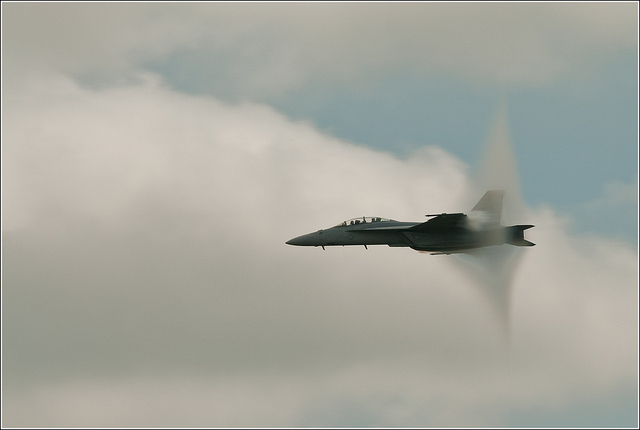 The Prandtl–Glauert Singularity goes under a number of names – we have already referred to it as a vapour cone. Other names include shock collar, or shock egg. It has even been jokingly referred to as a jet plane in a tutu. 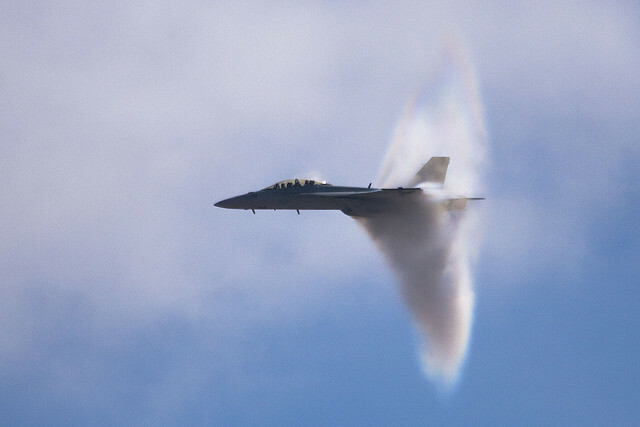 A mathematical singularity in aerodynamics may not sound like the most interesting of subjects but the science behind the singularity is fascinating. 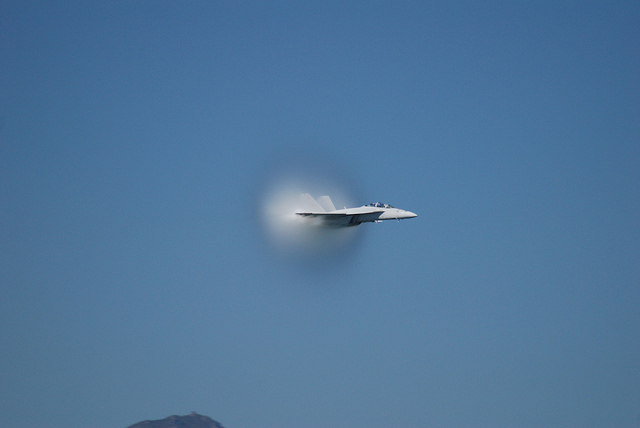 First imagine an object which is travelling at transonic speed. Transonic speed is different to the speed of sound. 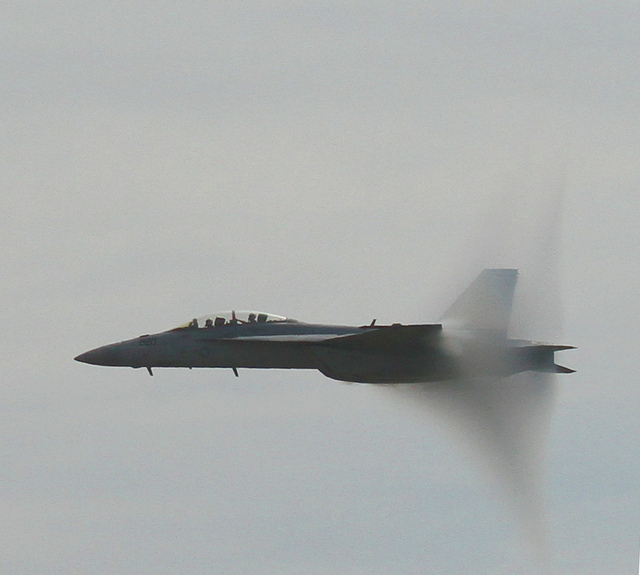 The sound barrier is broken at 768 miles per hour. 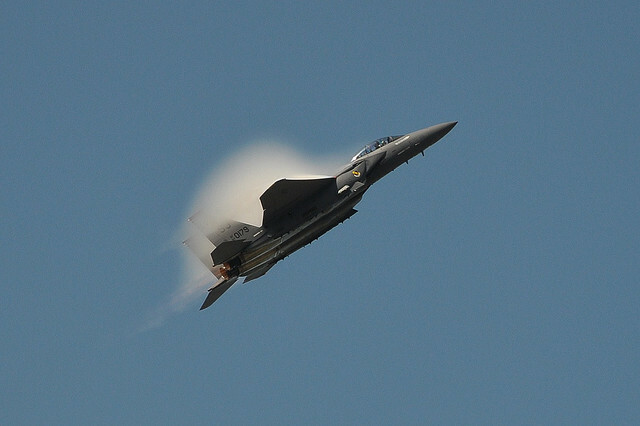 Transonic speed is below, at or above the speed of sound and varies from 600-900 miles per hour. 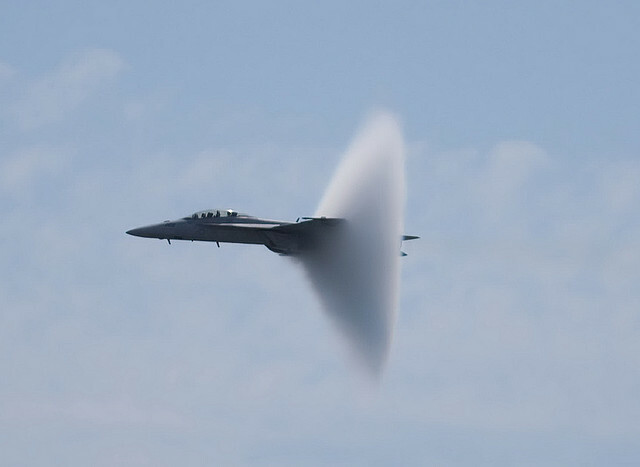 So the singularity can occur when a jet is at a speed less than that of sound or, indeed equal to or above the barrier. 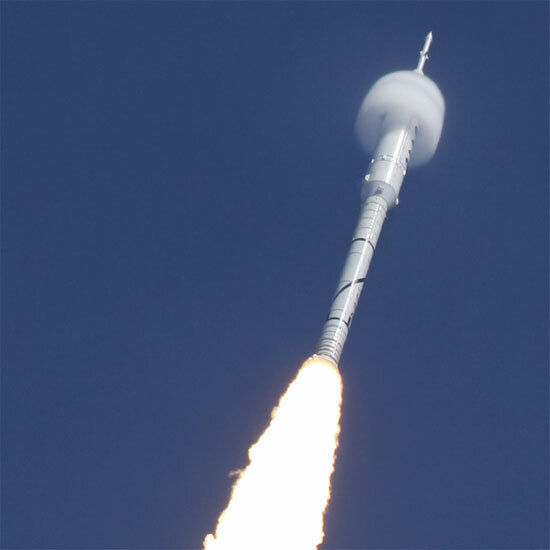 It is, however, still very much about sound – one of two essential ingredients for a vapor cone to become visible to us. 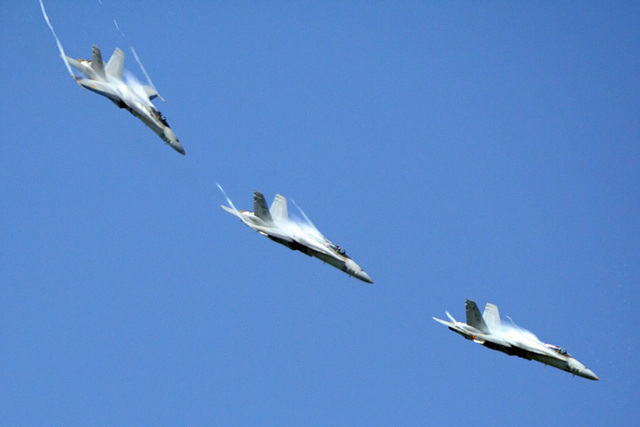 The cone shape is caused by the sound source – in the cases the jets – travelling faster than the sound waves it produces. The singularity occurs simply as a result of the wave nature of sounds. 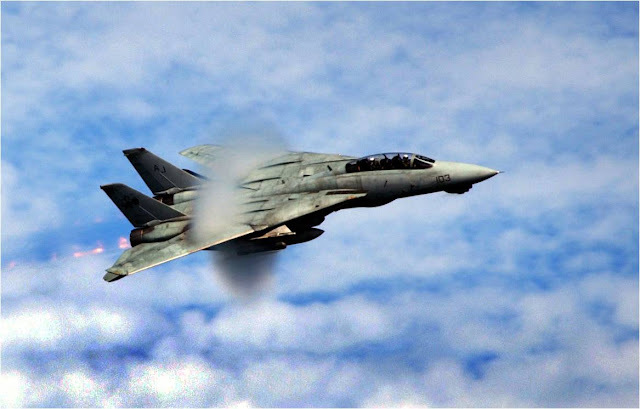 Again, think of the jet as the source and the sound like a crest of wave – lots of waves. The sound wave crests are like a series or an envelope of overlapping circles. As the waves overlap the envelope forms a conical shape – the point of the shape being the source of the sound. So far, so invisible. 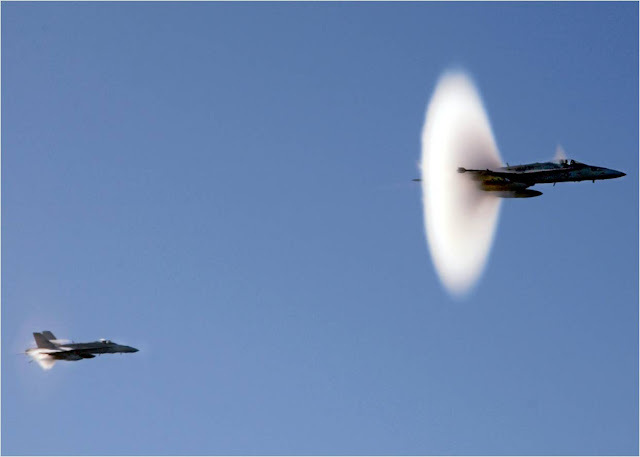 It’s a shock wave, Jim, but not as we know it (or see it in this case). 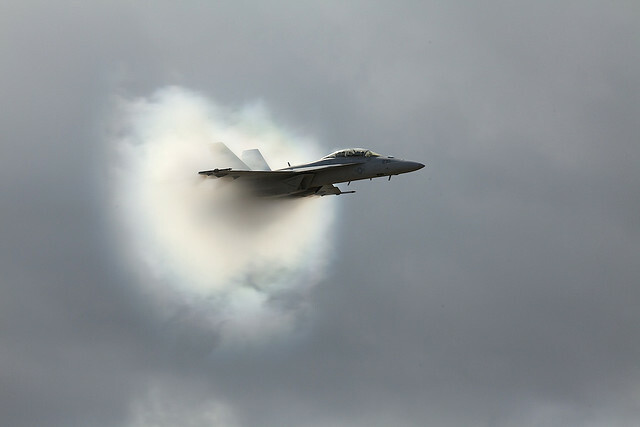 For the Prandtl–Glauert singularity to be visible to the human eye you need one more thing – humidity. 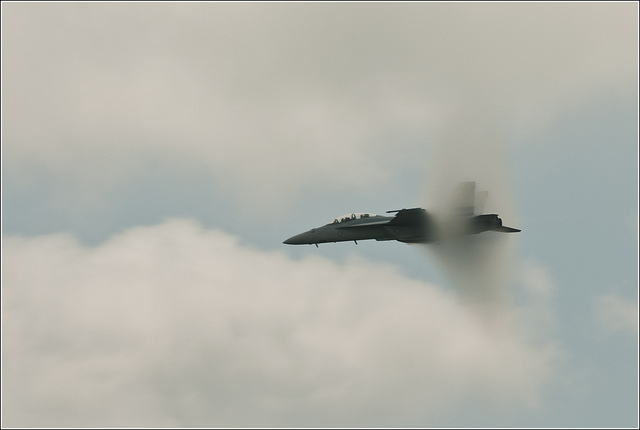 When the humidity is sufficiently high the air around the cone condenses and forms the cloud we can see. As soon as the air pressure returns to normal the cloud dissipates. 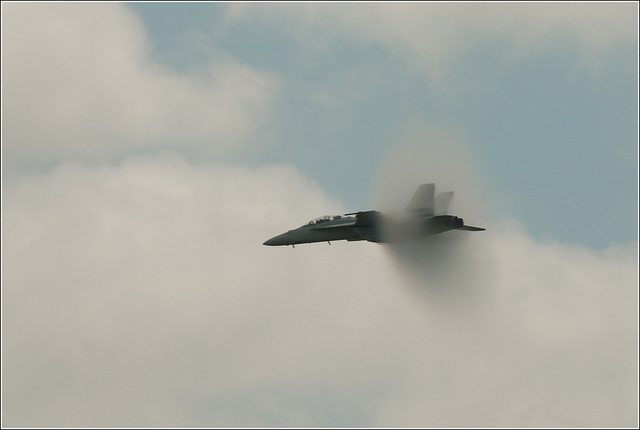 This accounts for the singularity often seen on jets flying above the ocean in the summer – the combination of water and heat creates a humidity level high enough to form the cloud. Another myth can be exploded here. 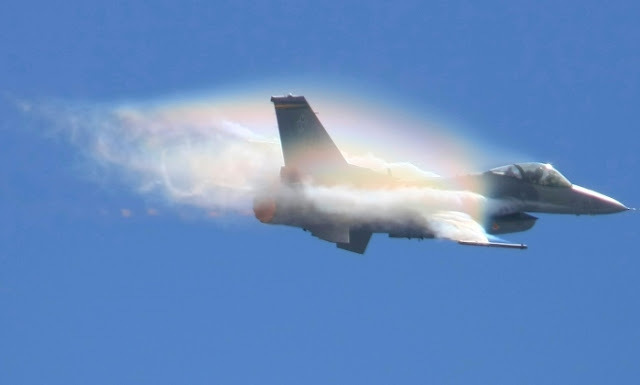 Some assume that the Prandtl–Glauert singularity is caused as a result of burning jet fuel. You would probably be forgiven for thinking that the effect is a contrail - the non-natural clouds that appear as visible trails of condensed water vapor produced by the exhaust of aircraft engines. However, this is not the case. 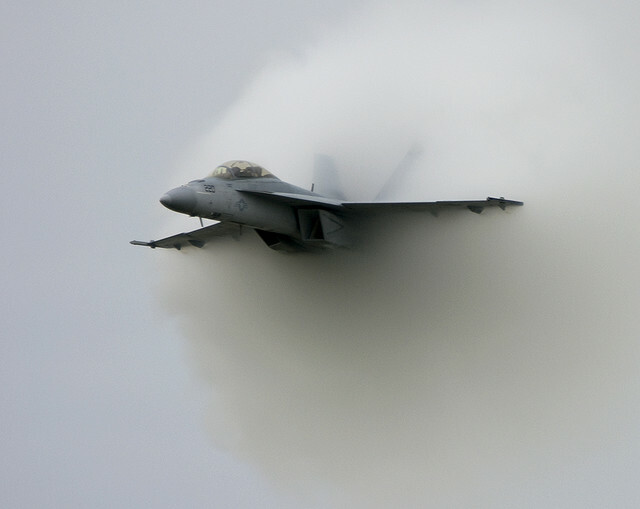 The water vapor is there already – it is in the air before the jet passes through it. Air pressure should also be mentioned. 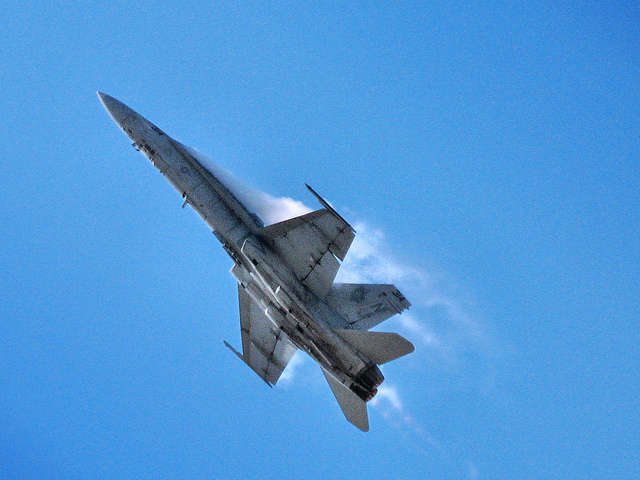 When a jet is travelling at transonic speeds then the air pressure immediately around is called an N-Wave, so called because when the pressure is plotted against time the result looks like the letter N. If you could slow down a shock wave as it passes you would be able to see the leading compression component. That’s the N beginning. The horizontal slash occurs when the pressure descends and when normal ambient pressure returns the final line of the N is created. The singularity effect is not restricted to jet planes. 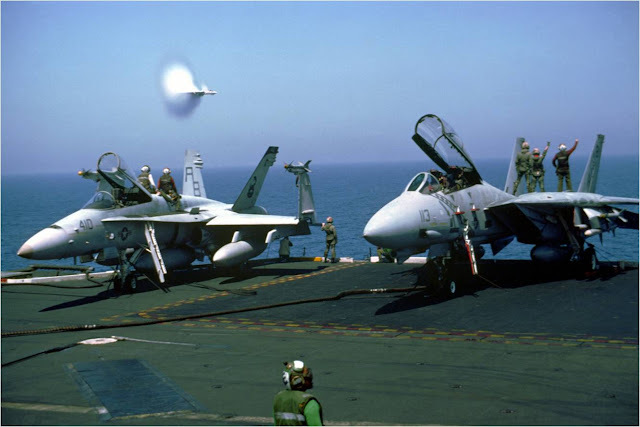 They could often be seen when the space shuttle was launched (rockets in general in fact) when the vehicle starts to travel at transonic speeds. This usually occurs at around 25 seconds after takeoff. Scientists observing nuclear tests in the 1940s also witnessed the Prandtl–Glauert singularity, although they called it a Wilson Cloud. The singularity is named after two prominent aerodynamics scientists who first wrote about it. Ludwig Prandtl (1875 – 1953) was a German scientist noted for developing systematic mathematical analyses to underlie aerodynamics. Hermann Glauert (1892 – 1934) was a British aerodynamicist. He was Principal Scientific Officer of the Royal Aircraft Establishment until his death in a tragic flying accident at the age of 41. 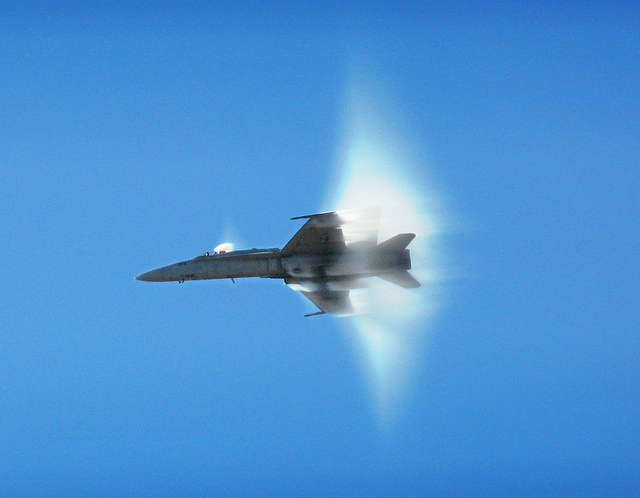 Believe it or not, if you want to you can create a Prandtl–Glauert singularity all of your own. You need two things, however: a whip and a humid day. If you can do an Indiana Jones and successfully crack the whip then you should be able to see the effect. 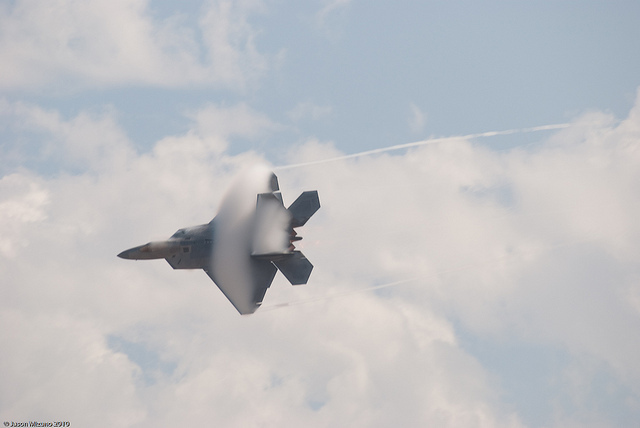 When the whip is cracked then a perceptible cloud is produced at the position where the tip of the whip attains transonic speed. Maybe this is not something to be tried at home after all. 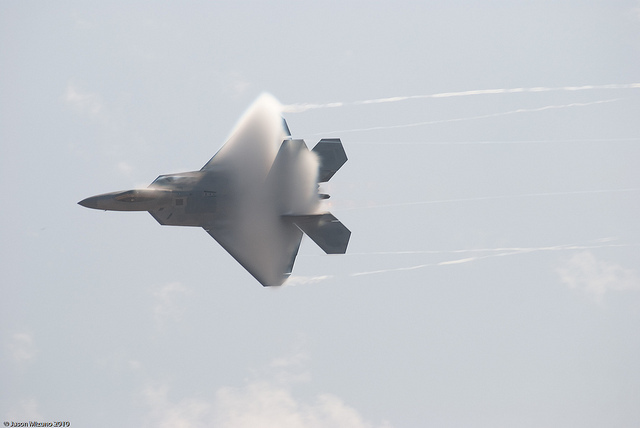 Who would have thought that a mathematical singularity in aerodynamics could be so interesting?